A bed is one of the most significant pieces of furniture in most homes, ranking with the dining table as a major purchase or project. 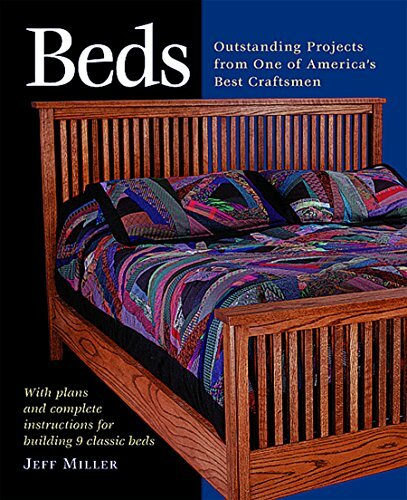 Jeff Miller, winner of the 1998 Stanley Award for best woodworking book (Chairmaking & Design, now out of print), offers nine attractive bed projects accessible to woodworkers of any skill level. In Beds, youll find step-by-step projects for a small bed, a Shaker-style bed, a Craftsman-style bed, a pencil-post bed, a plywood platform bed, a Windsor chairinspired bed, a modern 'city' bed, a sleigh bed, and a bunk bed. Youre sure to find more than one project that will inspire you.